Discussion in 'Game Updates' started by Bruthor, Nov 19, 2018. The southern continent as we know it has been replaced with the Xatakan Empire. Embark on a ship and help Sameen rescue her father's empire which has been corrupted by the Desecrated Plague! In the Xatakan Empire you will be able to explore brand-new territories, collect new regiments with unique abilities, fight against evil enemies of the Desecrated Plague on newly crafted battlefields that require you to come up with new strategies. Neferron is the first new boss you will have to challenge in the first part of the Xatakan Empire. This new continent is so huge that we had to split up its content into several releases. The first part of it will become available shortly after the release of app version 0.57. We will release all other part over the next few months. Purifying Light (active): Removes all battlefield effects, summoned trees, debuffs on allies, and buffs on enemies. Snappy Beak (passive): If in melee range while performing a normal attack, there is a 50% chance to deal 100% extra damage. Bottle of Bones (active): Push away an enemy and summon a Desecrated regiment (counter class). Soul Harvest (passive): Gets 5% bonus damage for each defeated regiment (on either side). The Desecrated Plague are entities of the afterlife haunting the desert continent. Dust to Dust (active): Deals 125% pure damage. If enemy is below 50% HP defeat them instead. Eternal Servitude (passive): Can't receive more than 140% of enemy's base damage. Eternal Javelin (active): Inflicts 60% magical damage on an enemy within a range of 2. We Are Legion (passive): Gets 10% bonus damage for each adjacent ally. Grave Silence (active): Removes all battlefield effects, summoned trees, debuffs on allies, and buffs on enemies. Mirage (passive): Can move through enemy regiments. Spectral Projectile (active): Inflicts 65% magical damage for each enemy in a straight line. Restless March (passive): Ignores movement restriction effects. Soul Ritual (active): Exchange relative health with target. Min. 30% will remain. Blood Pact (passive): Heals 15% whenever another ally takes damage. Map badges / nameplates have received a new look, so they are distinguishable more easily. The difficulty of PvE and PvP battles has been rebalanced. Overall, PvE content has been made easier, especially in the late game, however it still should provide a challenge if you are on a similar Warlord Level as your enemy! The PvP battle difficulty curve has been smoothed out a bit. Texts have been improved across all aspects of the game. Some players were unable to purchase anything in the shop. This issue has been resolved. GoldReaper, Lightbringe, Casidy and 3 others like this. 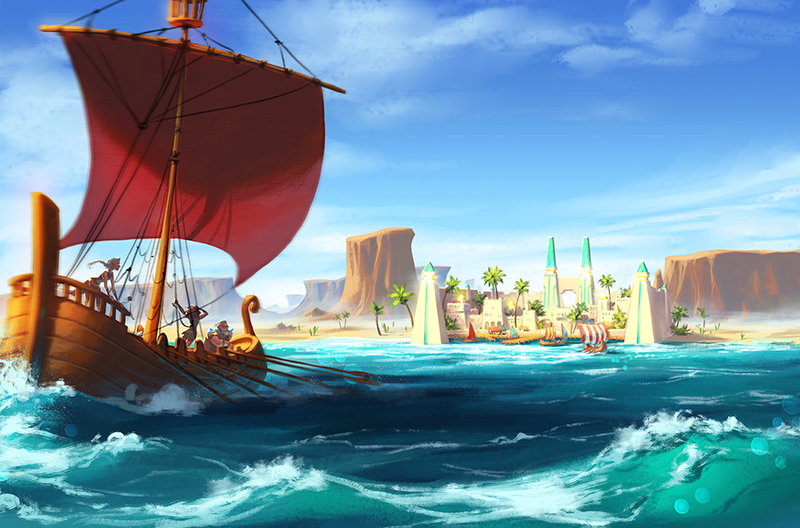 The gates have opened, you can now explore the Xatakan Empire!